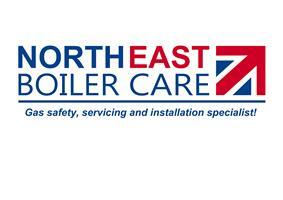 North East Boiler Care - Central Heating Engineer based in Newcastle upon Tyne, Tyne and Wear. North East Boiler Care is a family run business, we pride ourselves on being able to offer a personalised service and complete peace of mind for our customers. From the moment you pick up the phone we will make sure that you feel at ease. We are Gas Safe registered, we cover all aspects of heating services, from full system upgrades and boiler replacements, using high efficiency condensing boilers to ducted warm air installations, repairs and services. We are experts in boiler repairs, boiler services and Landlord Gas Certificates (LPC). We offer high standards of excellent work and services, at the most competitive pricing. We will continue to keep you updated right up to the moment the engineer arrives at your property to carry out the work, and if you have any concerns or problems afterwards, we are just a phone call away. Our reputation has been built upon the fact that we complete work for our customers to the highest standard every time. When booking work, a job reference number will be allocated on our database system and we keep accurate records of all work carried out - this enables us to provide a service personalised to you. The overall service we provide speaks for itself - the majority of new jobs booked are by customers who have used us before!